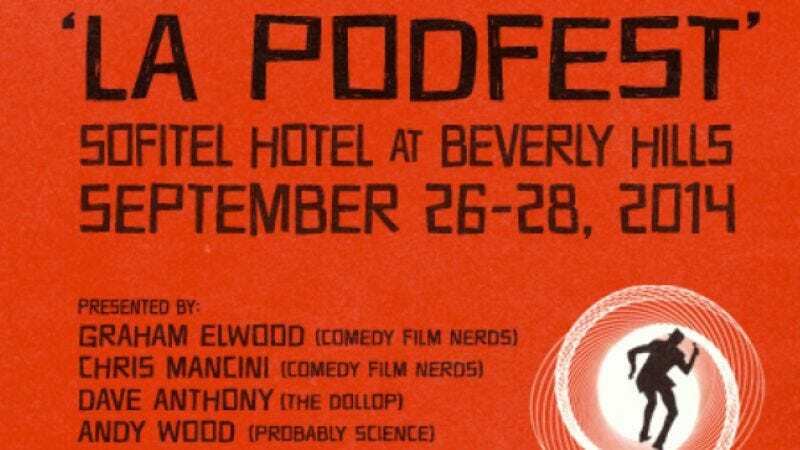 Can’t make it to L.A. for the third annual Los Angeles Podcast Festival? That’s okay, because in the true spirit of podcasting, fans all over the world can watch this weekend’s Los Angeles Podcast Festival live online from September 26 to 28, or watch it on demand for three weeks following the festival. Live shows start Friday, September 26 at 7:00 p.m. PT and Saturday and Sunday at 12:00 p.m. PT. $25 gets you access to over 35 shows and panels hosted during the three-day event. Buy your ticket to the webcast and view the complete line-up at www.lapodfest.com. iTunes users can also subscribe to all the podcasts featured at this year’s festival at www.itunes.com/lapodfest.